In the years that Consider The Sauce has been running, I’ve come across quite a few people of Maltese background. Invariably, I’ve always had the same question: Why aren’t there one or more Maltese eateries in the west? I need ask that question no longer, as now there’s Cafe Verdala. 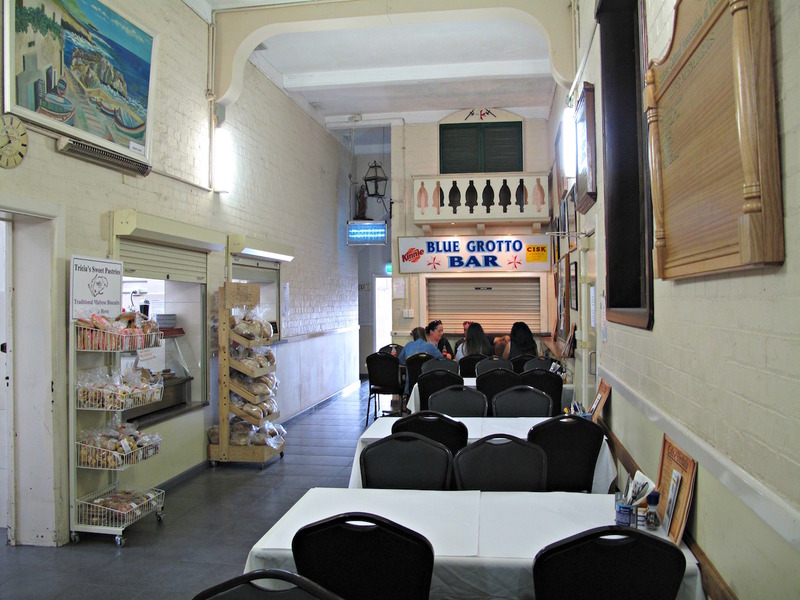 This eatery is located in the rooms of the Maltese Cultural Centre in Albion, sharing with other users a very big and stately brick building right by the railway tracks. A version of Team CTS rocked up on opening day a month or so ago, but we made the immediate decision to return in a few weeks once things had calmed down a little. It was crowded and very busy! 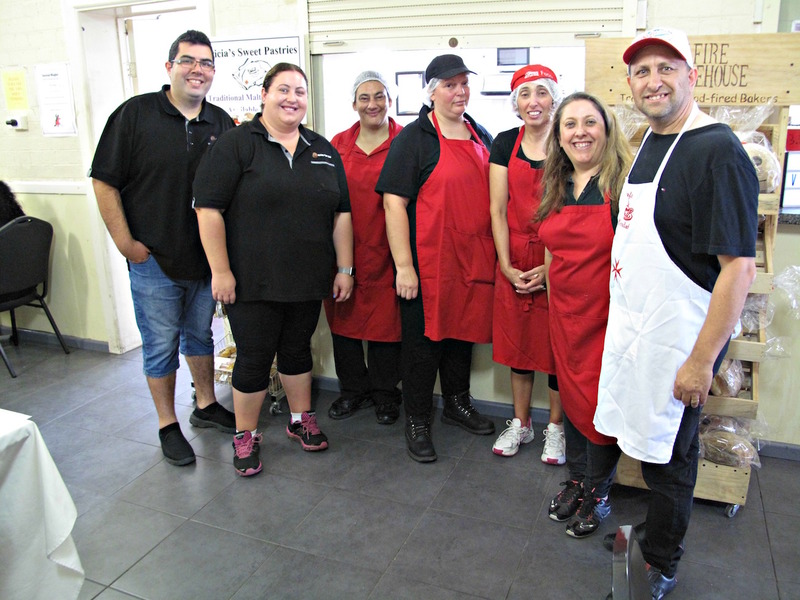 In the meantime, I made contact with Tony Busuttil, who is leading the crew running Cafe Verdala. The upshot of an interesting conversation about this new enterprise was Consider The Sauce being invited to return for a complementary meal for review purposes (full disclosure below). 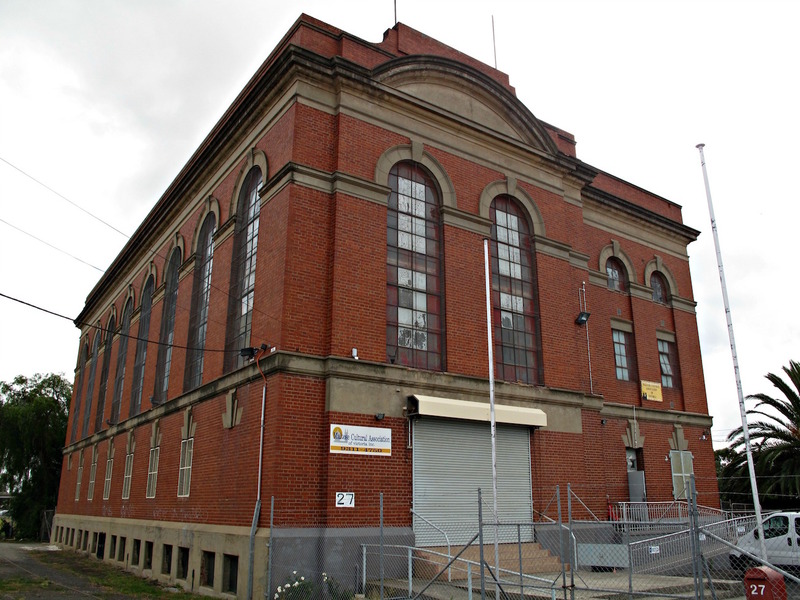 We return on the appointed Sunday – myself, Julian and Christine. Even better – we have room for two readers. I just love getting CTS readers involved in such things. Hence on the day, we are joined by Catherine and Chris. Fabulously, it turns out that Catherine is very much of Maltese extraction! Huzzah! We have an expert at our table! The cafe’s long dining room is old-school cosy, with an extra room at the end. This kind of community-based food and set-up are just the sort of things that get CTS truly excited! We start with the tasting platter called platt Verdala ghal-tnejn ($22.50 for two). 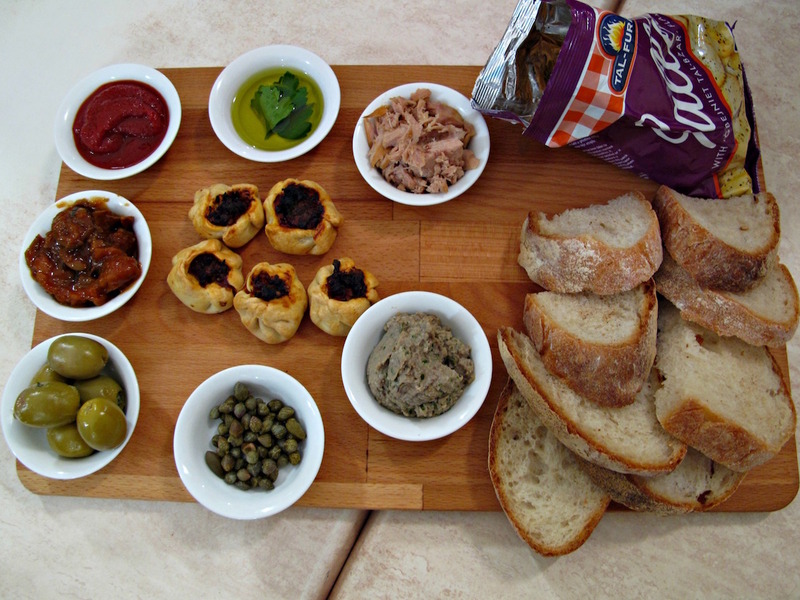 This is simple, wholesome fare – Maltese bread (as being baked by Hellfire Bakehouse), broad-bean dip, capers, tuna, olives, caponata, olive oil, the dry Maltese crackers know as galetti and mini versions of the open pies known as qassatat (these ones filled with sausage). The biggest surprise here is the tomato paste. I’d heard and read about the seemingly miraculous Three Hills brand Kunserva tomato paste and how Maltese folks simply love it, as is, slathered on bread. 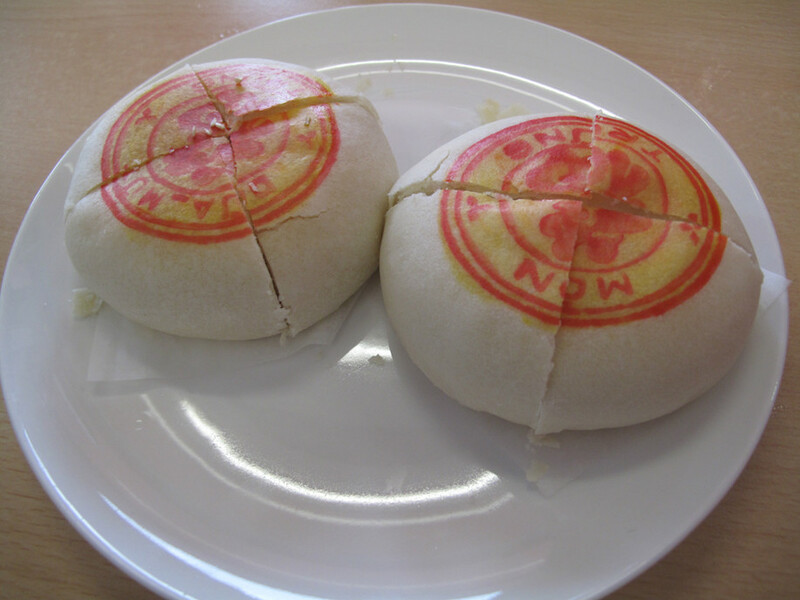 It really is good – in no way bitter, quite sweet and very yummy. 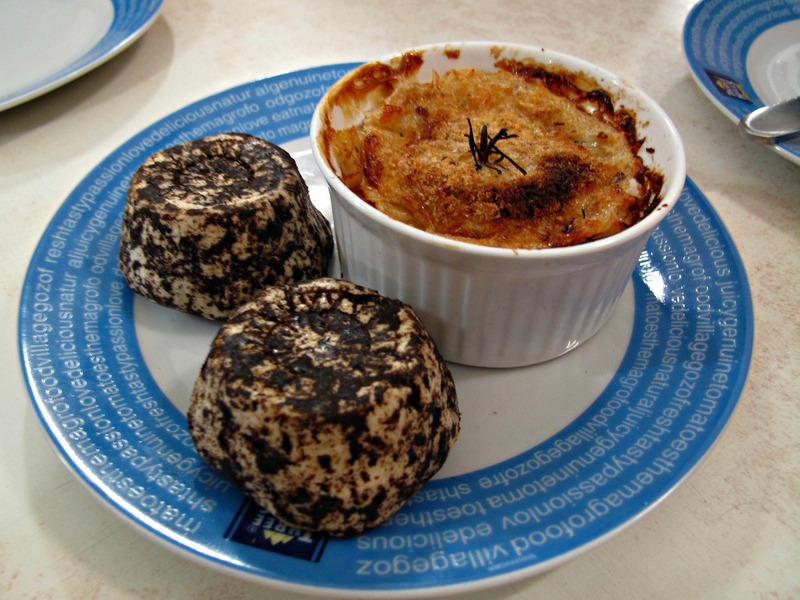 Alongside are two takes on the Maltese cheese gbejniet – one in a peppery mould form, the other baked. It’s good and resembles any number of other hard cheeses from Europe and the Mediterranean. 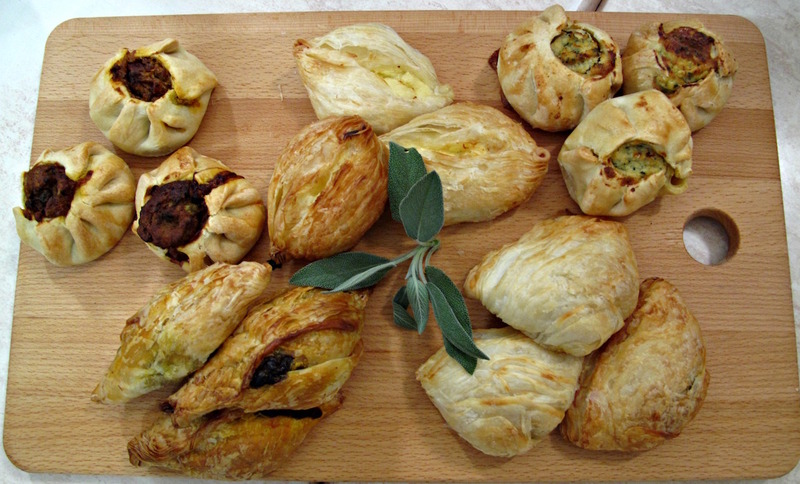 If Kunserva can be seen as something of a Maltese national food, pastizzi are right up there, too. Here they’re served, with a variety of fillings, alongside more, full-size qassatat. 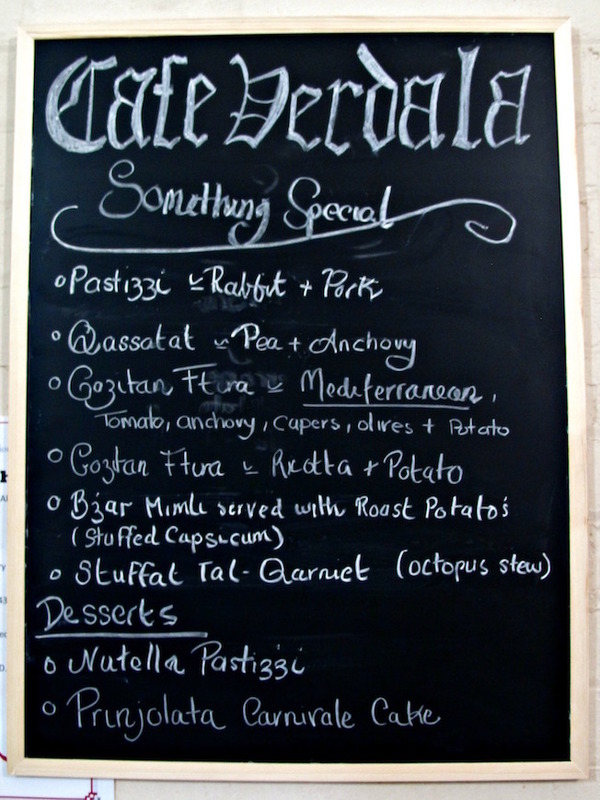 We really enjoy the pork-and-rabbit pastizzi (bottom left). 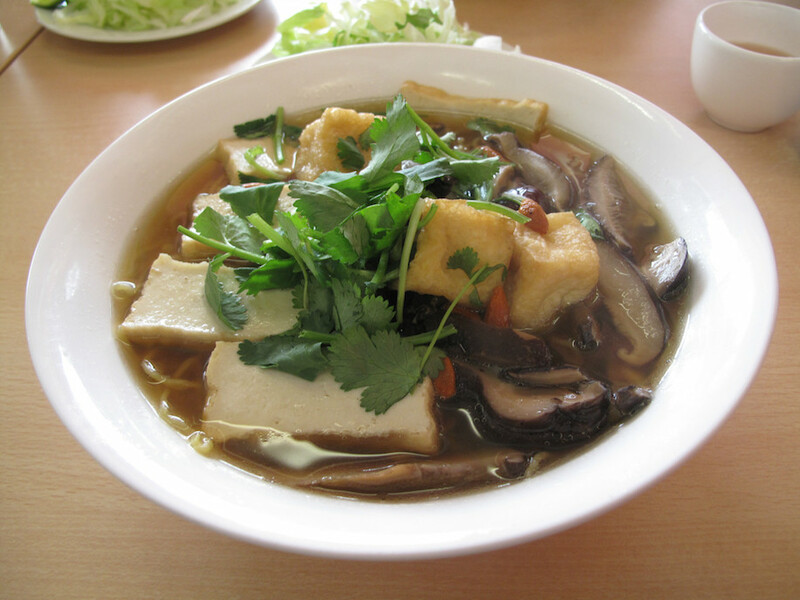 We all go our own way with the main dishes, with enjoyable results. 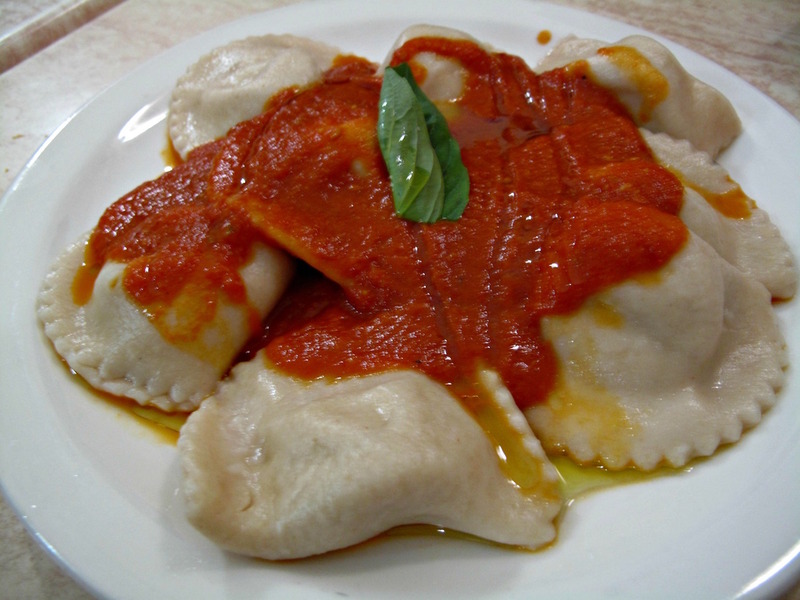 Two of us relish the simple delights of these “ravjul” ($13.50) – another Maltese staple. The ravioli are stuffed with a simple mix of seasoned ricotta and served with Kunserva cooked lightly with olive oil and (I think) garlic. Maltese pizzas are called gozitan ftria – they’re a good deal deeper and heftier than their Italian cousins. 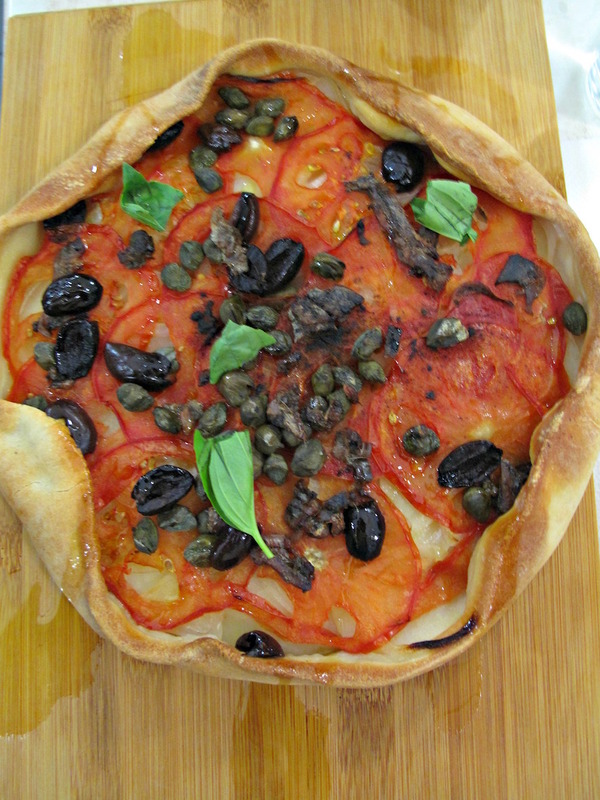 This one – tagged Mediterranean ($15) – has a potato base adorned with olives, capers, tomato, anchovies and basil. This one – potato and ricotta ($15) – is even more substantial. So deep, it should really be thought of as a bona fide pie. My friends enjoy their pizzas. But in both cases, and given all the rest of the food we are being so generously offered, about half of each pizza went home with their respective orderees, destined to be Monday work lunches. 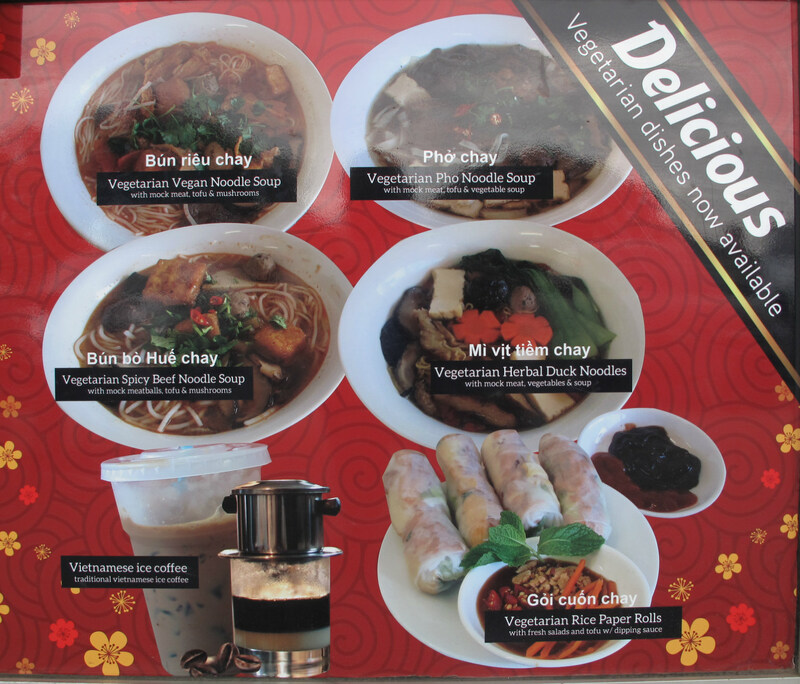 These could easily feed two, especially when partnered with other selections from the menu. 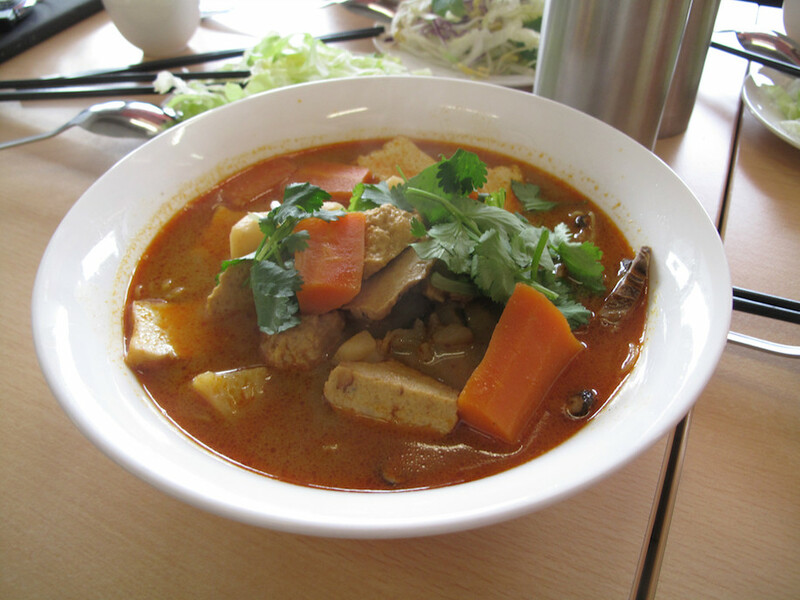 From the specials board comes stuffat tal-qarnit – octopus stew ($21). 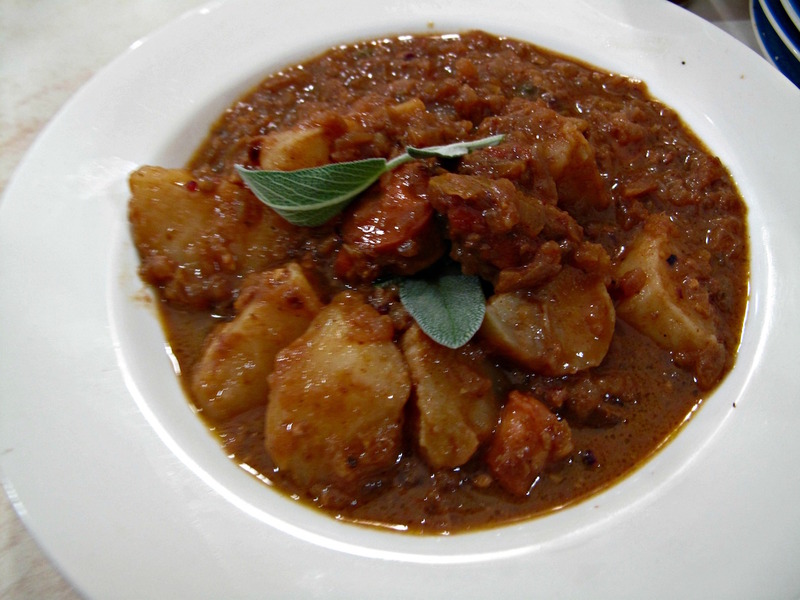 It’s an ultra-lusty outing, the octopus mixing it with potato pieces. It’s too rich for my liking – maybe it’s the capers – but Chris enjoys it. 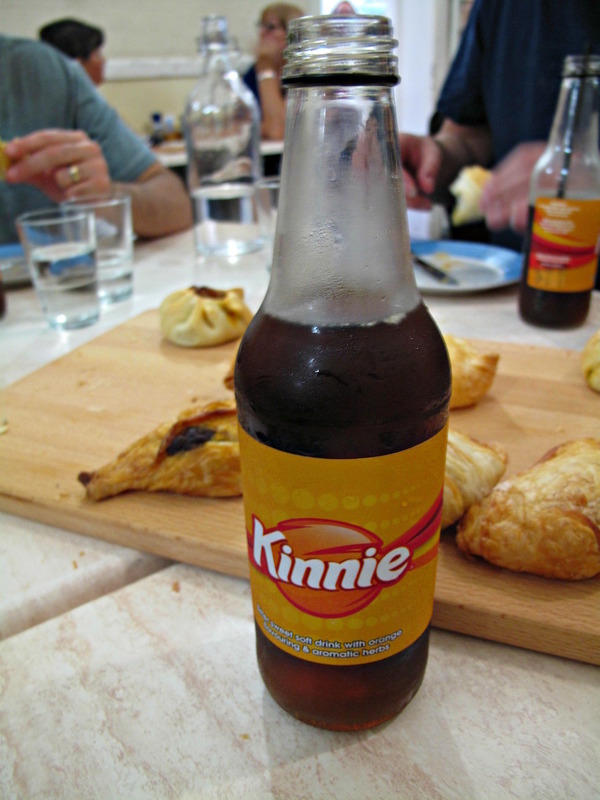 I’m almost dissuaded from trying the Maltese soft drink Kinnie when the word “chinotto” is used for comparison purposes. But I really like it – it has a nice citrus tang that makes for a very favourable likeness with the bitter fruit soft drinks of Italian heritage. Luckily, we’ve behaved like the pro eaters we all are – and thus have left room for some of the famed Maltese desserts. On the left is the Maltese take on bread pudding – pudina tal-hobz ($6 per serve). It’s firm, with a chocolate-and-cherry thing going on. In the wire basket are imqaret – extremely fine deep-fried date slices ($6 for three). At top centre is a big slice of the Maltese carnival cake called prinjolata. This special defies its pinkish colouring by tasting quite like a rich fruit cake or Christmas cake. 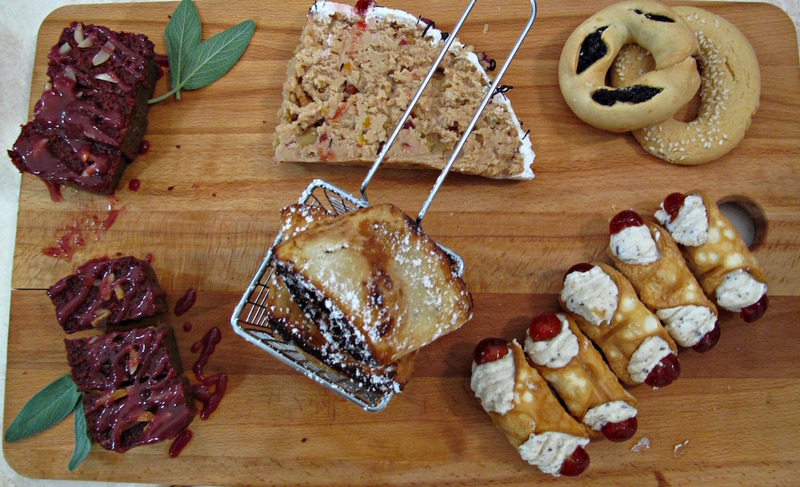 The ricotta-stuffed canoli are devine – in fact, all these treats are all so lovely that the date and sesame rings (top right, $1.50 each) barely get a look in! Is that what we have been served? 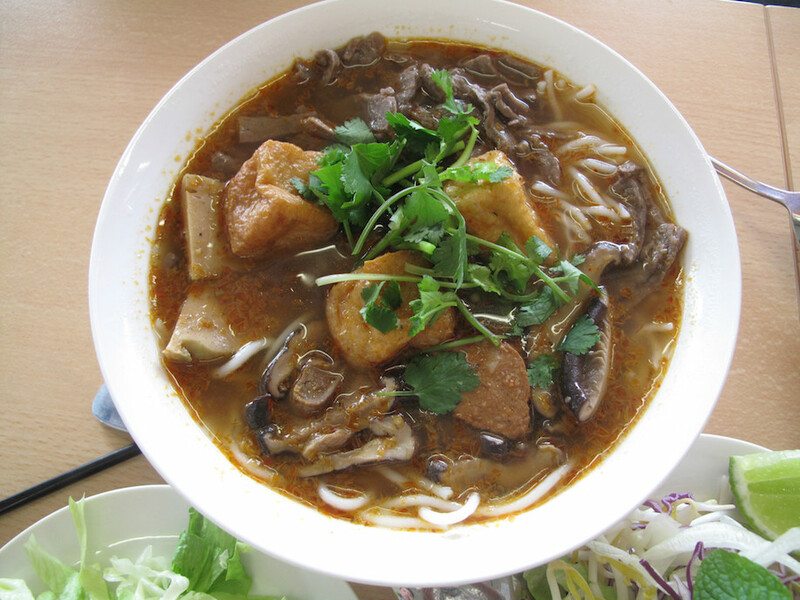 Well, my expectations – given this country’s food was almost entirely new to myself and (most) of the friends who have joined me – were nebulous at best. I think I may have been expecting more of an African or Middle eastern influence, given Malta’s location in the Mediterranean. 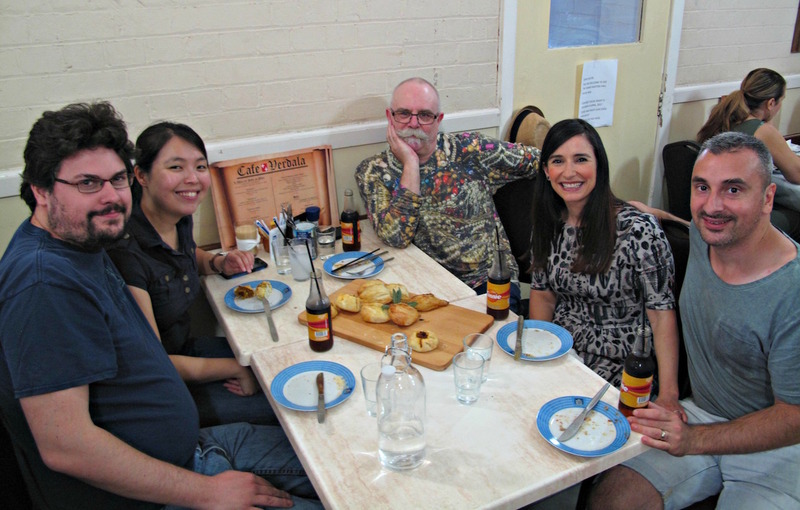 But the true magic of Cafe Verdala – and as confirmed by Catherine and Tony – is that what is served here is Maltese home-cooking. It’s the kind thing I find myself wistfully thinking of when, for example, I am eating otherwise enjoyable restaurant food of the Lebanese or Turkish varieties. 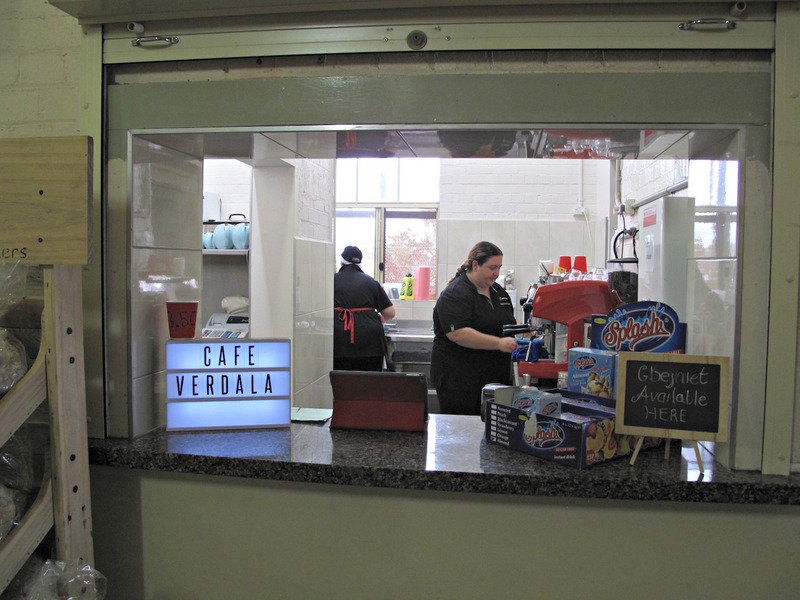 Some advice: Cafe Verdala is being professionally run by staff who are doing a great job. We found the service just fine. 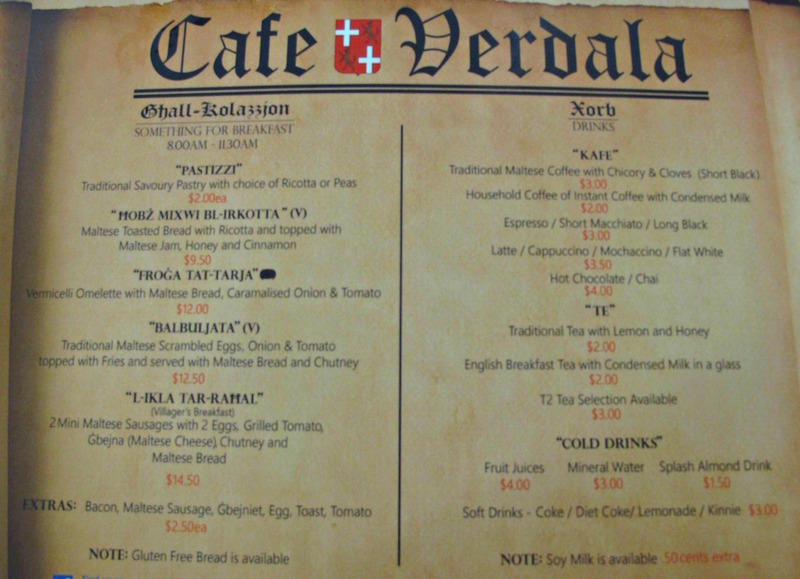 But it’s worth remembering that Cafe Verdala IS, in many ways, a community establishment. 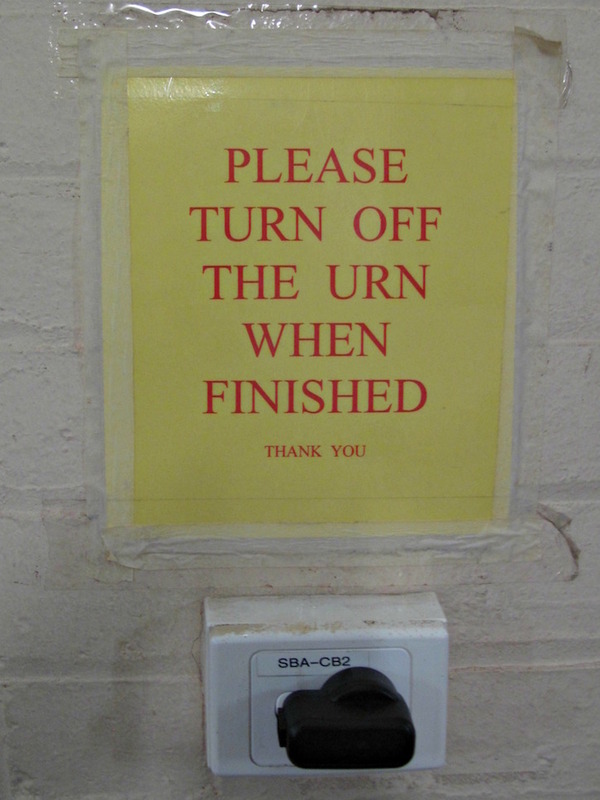 So some patience and good humour are the go. 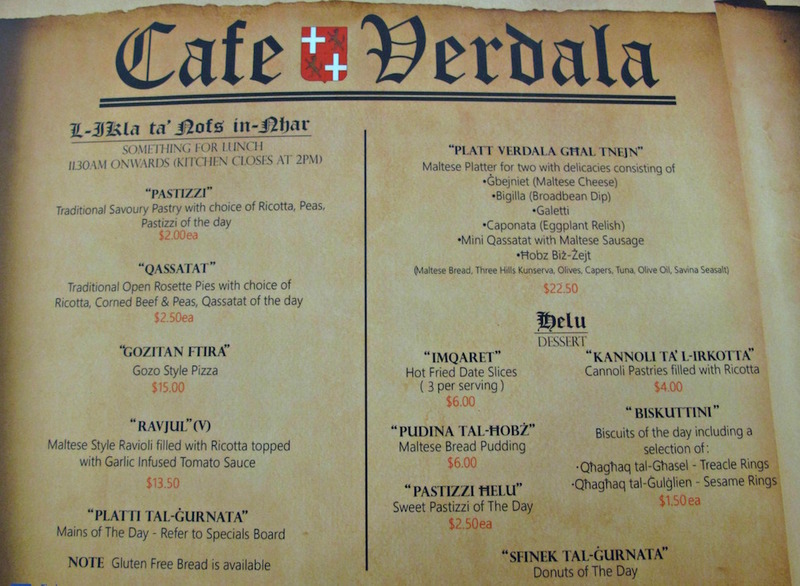 Cafe Verdala is open, thus far, for breakfast and lunch on Sundays only. 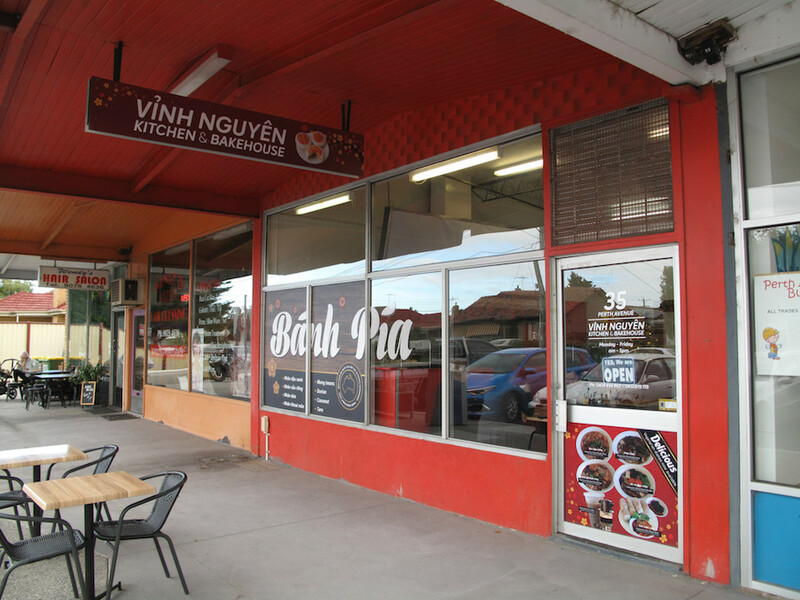 There are EFTPOS facilities; bookings are advisable. Check out the Cafe Verdala Facebook page here. Thanks to everyone at Cafe Verdala for making our day. Thanks to CTS regulars Christine and Julian once again. And thanks to Catherine and Chris for joining us – we hope you will do so again!